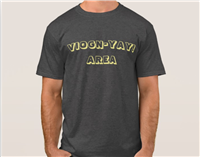 Rep the Bay and Viognier with our first Conduit t-shirt! These 100% cotton t-shirts are comfortable, casual, loose fitting, and wears well on anyone. The bottom and sleeve hems are double-needle stitched for extra durability. Ladies, rep the Bay and Viognier with our first Conduit t-shirt! Our Conduit women's t-shirts are made from 100% soft, light-weight cotton. This best-selling woman's tee by American Apparel is versatile and can be worn for work or play...or better yet, to your favorite Conduit-serving wine bar or restaurant. You're a little country and a little rock 'n roll. We get it. Own that look with our new Tag + Jug Cider Co. trucker hat. This adjustable size hat is made of high quality cotton twill, a silky, form-fitting mesh (not that hard, crap), and comes from one of the most reputable names in apparel, Legacy! You will LOVE this hat!